Unique artisans have uncommon products, a design should reflect those rare elements. 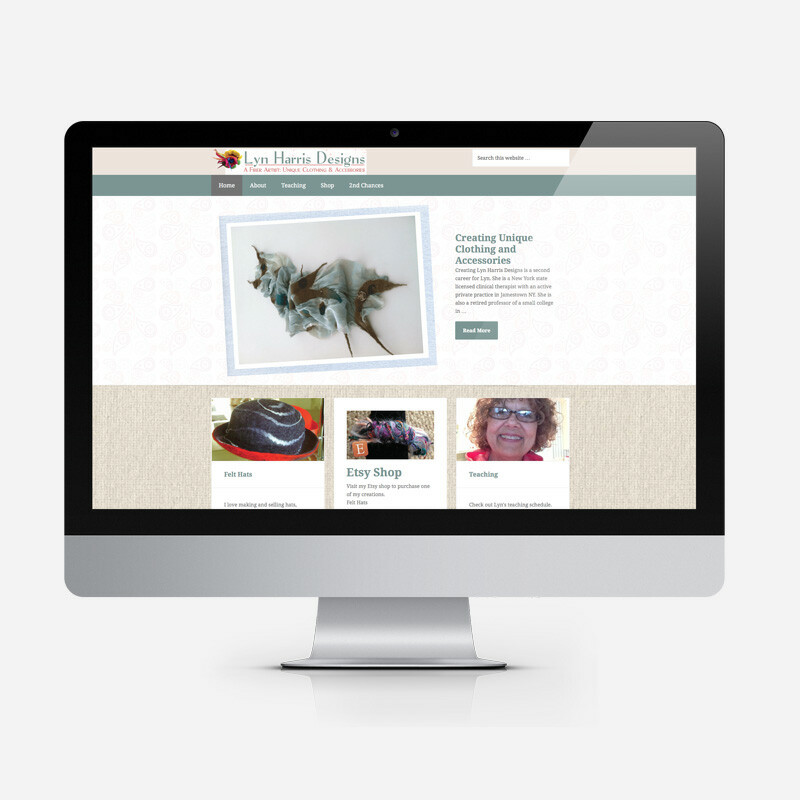 An artisan web design with fun felt textures and paisley accents emulate the joyful personality of the artisan, Lyn Harris. With product and personality in mind we set out to design a site with the artist in mind. Fun and joyful, creative and unique. These are the outward reflection of the inner artist. Function follows form and adding elements to the site to connect the artist with her audience through a blog and to her Etsy store were important.